John Deas told the herring gull 'you won't be eating my fish again' after blasting it out the air. 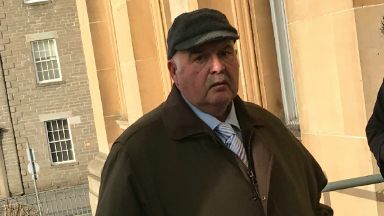 A man shot a wild bird dead as a "last resort" because it kept stealing his fish, a court heard. John Deas, 60, then picked up the herring gull in front of a neighbour and said: "You won't be eating my fish again". Dundee Sheriff Court heard Deas had been trying to protect fish stocks at his rural property near Anstruther, Fife. As a "last resort", he blasted the bird from the sky on December 9 last year. Fiscal depute Laura Bruce said: "A neighbour was in their kitchen when they heard a gunshot and saw a bird fall from the sky, landing on the ground near her garden. "She saw the accused and asked if he had shot it and he replied 'yes, it was eating my fish. Last year I said if I saw it again I'd get it'. 'He then picked up the bird and said 'you won't be eating my fish again''. "He then picked up the bird and said 'you won't be eating my fish again'." Deas told police he had a firearm lying unsecured in a caravan. It was found wrapped in a blanket beside a bed in the mobile home. He pleaded guilty to intentionally or recklessly killing a wild bird and of failing to keep a rifle properly secured, and was fined £335.